Thanks to the vision and benevolence of the late Hugh Kenrick, who had a great passion for birds and wildlife, all Birmingham schools can bid to NAEE for financial support to take their pupils to outdoor centres for hands-on learning opportunities in the natural environment. NAEE offers school bursaries of up to £400 to cover centre fees and transport costs. All we ask in return is that you write a short piece for our journal Environmental Education about your visit and how it linked to your work in school. Your school will also be given a year’s NAEE membership. By becoming involved, you can help to equip our young people with the knowledge and understanding they will need as future stewards of our planet. Bursaries can be used for visits to the Environmental Education Centres shown below, and priority will be given to schools that have limited or no access to green areas on their site. Birmingham Botanical Gardens – indoor glasshouses where pupils can investigate plants from different climates, including tropical rainforest and desert; large grounds for plant and habitat studies, senses work and orienteering. Also has an animal collection that can be studied during sessions. Mount Pleasant School Farm, Kings Norton – sustainably-built classroom on a working dairy farm which has cattle, sheep, pigs and chickens. A day at the farm provides a variety of ‘hands on’ experiences to the school curriculum, including where our food comes from; omnivores, carnivores and herbivores. Martineau Gardens, Priory Road, Edgbaston – an organically-managed community garden, located two miles from the city centre, where pupils can carry out activities linked to plant growth, food crops, invertebrates, food chains, and explore a range of different habitats including the pond. 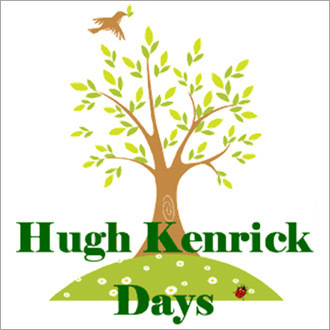 Please download an application form and email to kenrick@naee.org.uk putting Hugh Kenrick Days in the subject line. No more bursaries are now available for the 2018/19 school year. The window for applications for 2019/20 will open in June. School visits can cover the Prime and Specific Areas of Learning, particularly Understanding the World and Personal, Social & Emotional Development. Outdoor learning also covers the Characteristics of Effective Learning (Playing & Exploring, Active Learning, Creating & Thinking Critically), through sensory, seasonal and problem-solving activities. Identifying common plants, parts of plants and flowers, growth, life cycles (Martineau Gardens and Birmingham Botanical Gardens). Living things and their habitats (Martineau Gardens and Birmingham Botanical Gardens). Changing environments and human impacts (both positive and negative). Materials – investigating and using natural and human-made materials, links to recycling. Comparing contrasting environments with the school grounds. Finding out about plants and animals from other parts of the world (Birmingham Botanical Gardens have plants from tropical, sub-tropical, Mediterranean and arid ecosystems, as well as an animal collection). Growing food crops and using in healthy recipes. Links to plant life cycles and plant parts/functions in science (e.g. the use of leaves, roots/tubers/bulbs, seeds and fruit as food). Fieldwork techniques, such as freshwater sampling methods and quadrat/transect sampling. Structure and function of living organisms – plants (including photosynthesis, pollination, life cycles) and animals (e.g. invertebrate sampling). Studying different ecosystems (such as temperate woodland and ponds at Martineau Gardens and rainforests at the Botanical Gardens). Using fieldwork in contrasting locations, including map skills. Human and physical geography related to a range of landscapes and environments. Understanding human impacts (positive and negative) on local and global environments. Environmental art and craft activities. Environmental and Land Based Science GCSE. ‘Forest School’ activities with a focus on the environment. Sustainability issues, e.g. growing food locally, developing sustainable communities. Click here to read stories about how schools use bursaries.